A founding member of the Russell Group, Newcastle University has a proud tradition of academic excellence, spanning more than 180 years. With a unique professions-facing mission, the London Campus brings the best of Newcastle University to the UK’s capital city – a global centre for business, finance and commerce. We offer undergraduate and postgraduate business-related degree programmes, designed and specifically tailored for the London market by our triple accredited Business School. (AACSB, AMBA, EQUIS). The London Campus also offers university preparation programmes for international students. 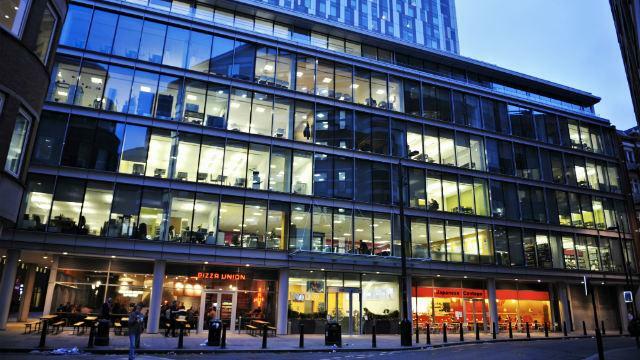 Our London Campus is uniquely positioned between the famous Square Mile, the central hub for business and trendy Shoreditch, which hosts creative, tech and start-up companies from across the globe. An inspiring place to live and learn, our central London location provides students easy access to the vast cultural and social opportunities in one of the world’s most diverse and welcoming cities. 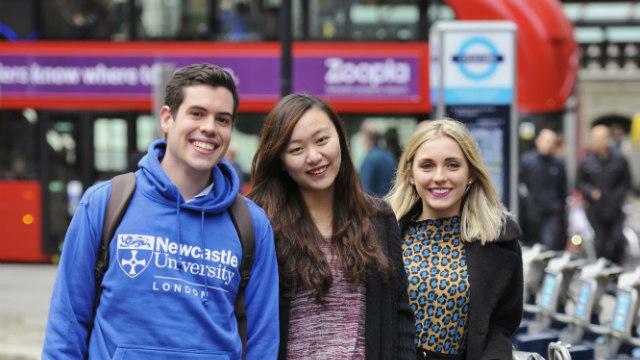 Newcastle University London offers numerous opportunities for students to create connections of value, whether that’s with our successful alumni, academic community or business partners. We work hand-in-hand with industry to help you develop an enviable skill-set and the knowledge base top employers demand. Our academics are leaders within their field – most are active researchers with industry-experience. This gives students a strong understanding of the latest ideas and developments in their subject area. The Campus is also a close-knit learning community, making it easy for students to exchange ideas with lecturers, visiting professors and industry thought leaders. • regular workshops held by the University’s award-winning Careers Service. International research collaboration, the best international academic staff and international students are important parts of a globally respected institution such as Newcastle University. In addition to our home campus in Newcastle, the University already has successfully established campuses in Malaysia and Singapore. The London campus is an important addition to these, furthering our global footprint and providing a huge range of opportunities through its position as a hub which attracts the best and the brightest talent from around the globe. We place great importance on the experience and welfare of all of our students and you will be well looked after at Newcastle University London. Our dedicated Student Services team will help all new students to settle into life in London, providing a full orientation programme when you arrive and offering 24-hour support throughout your studies. In addition to our degree programmes we offer a range of university preparation and English language courses to prepare you for entry to our degree programmes. We offer a range of scholarships for well qualified students. Visit our website for details of how to apply. Newcastle University Business School is one of an elite group of Business Schools worldwide that holds triple accreditation of AACSB, AMBA and EQUIS. Top 10 UK university for employability (The Guardian University Guide 2015). A global university with campuses in the UK, Malaysia and Singapore. Join a community of 122,000 graduates from over 120 different countries. Notable alumni include the actor Rowan Atkinson, most famous for his character Mr Bean.